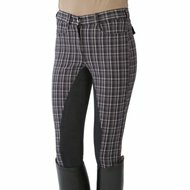 These breeches is super easy, even if you have some stables etc. to do. Good model. Would definitely recommend these pants and will probably order one yourself. 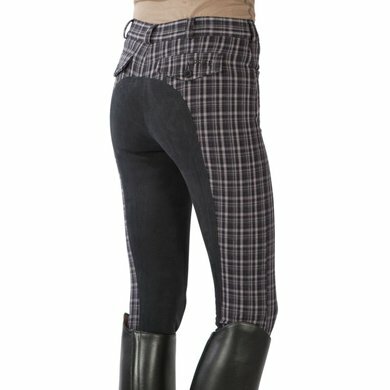 Beautiful breeches, especially for this money. Only slightly smaller, so I would order a larger size. Is nice, and stays nice in the wash. Wonderful comfortable pants. Delivery may be faster but the article is a winner! A very solid seat. Fine, thick fabric. Stretches nicely. And makes the old-fashioned diamond look completely modern again. 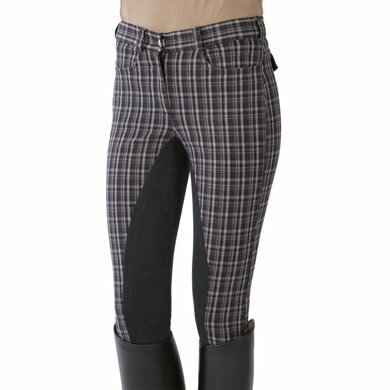 Question: Are these breeches, windproof, water repellent & breathable? 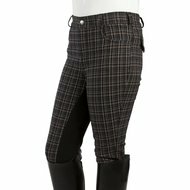 Answer: No, this is an imitation leather full breeches.